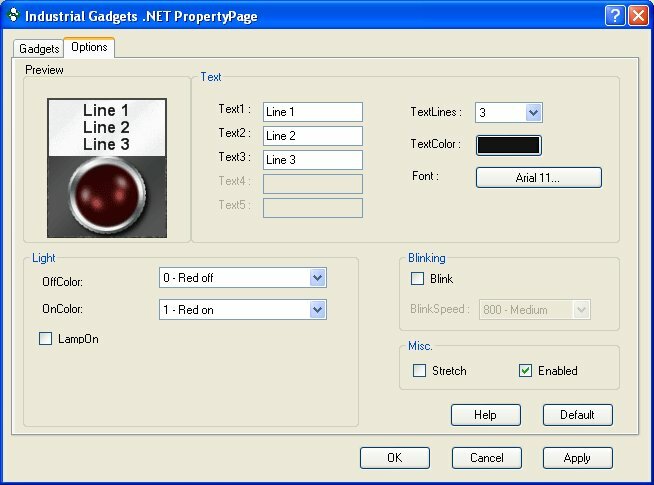 Gadget Lights include the following objects, samples of which are shown below on this page. With 15 light types that can be setup in up to 5 different colors and blink options there are 150 different lights possible! 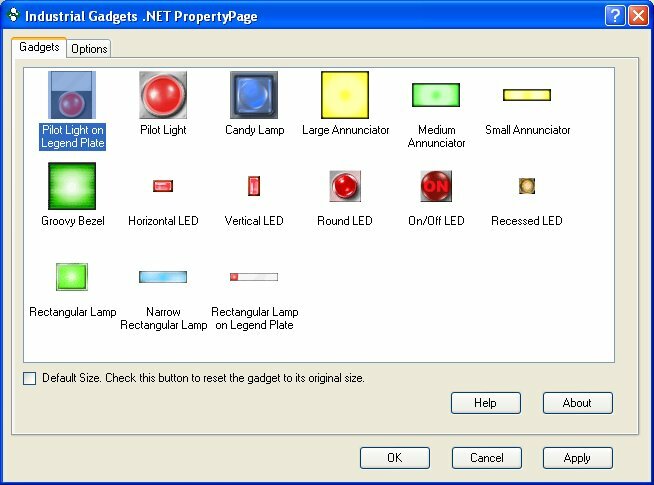 Each light can have a one of 5 different colors for the Off and On states, easily set in the Light section of the property page.